Chen Hong is famous Chinese celebrity and sadly has turned 44 years old with the dawn of year 2013. She has born on December 13, 1968 in Shangrao, Jiangxi – China. 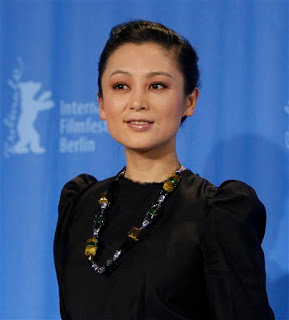 She started her professional career in year 1989 with first appearance in film “A Dream of Red Mansions” and Television series “Taiwan Nuer”. Chen Kaige and Chen Hong forged their relationship bond in 1996 with eternity under a marriage content and lively happily after. They have two kids (male) from their marriage. Kaige is a film producer and director since year 1980. Her latest adventures in film industry are “Shaman Kong Hai” and “Caught in the Web” for year 2012.